NHI Bahamas aims to do just that. National Health Insurance Bahamas aims to ensure that all Bahamians and legal residents – no matter your income, age, island of residence or current health status – can receive health care. The National Health Insurance Authority (NHIA) has been established to oversee the implementation of NHI Bahamas. NHI Bahamas is being rolled out in phases. 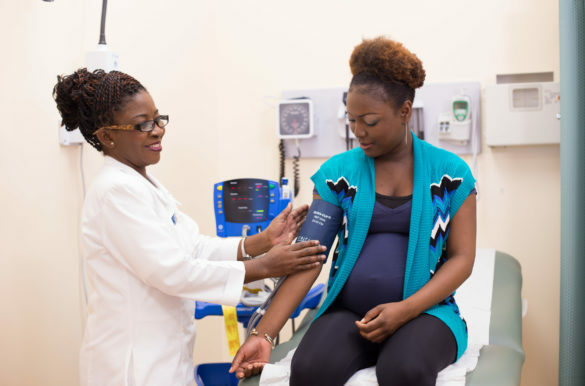 Bahamians began registering for the National Health Insurance program in January 2016. Enrollment for NHI Bahamas began in 2017 and is ongoing. Beginning in May 2017, Bahamians began receiving primary care services under NHI Bahamas. Most recently, in October 2018, the NHI Authority has a consultation paper on the new way forward for NHI which will pave the way for expanded benefits coverage for the future. Persons who are currently enrolled in the programme are receiving Primary Care services at no cost at point of care. The full list of benefits can be viewed here. I-low do I enroll? It is simple and easy to enroll in NHI Bahamas online. The only thing you need is your NIB Smart Card. If you have your Smart Card, you can enroll in the programme on line and select your primary care provider. A full list of primary care providers can be found here. NHI Authority Board Chairman Dr. Roberts clarifies some misconceptions about the new proposed plan for NHI. National Health Insurance Bahamas (NHI Bahamas), in its initial phase of coverage, covers Primary Health Care services. Persons do not have to pay at point of service for Primary Care, including no copay, deductible or new tax when enroled with a Primary Health Care Provider, either in the public or private sector. Catch up with the latest news on NHI. A patient satisfaction survey conducted by the National Health Insurance Authority (NHIA) has revealed that over 95% of beneficiaries were either very satisfied (57.64%) or satisfied (38.07%) with the health care experience they received from their NHI doctor. The survey was completed by 5,122 beneficiaries between July and November 2018.